You don't know me from Adam, but I LOVE YOUR BLOG! I actually found you through Rachel H.'s blog and I just LOVE everything that you do! 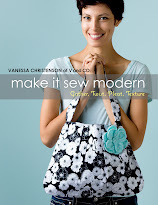 You really are an inspiration to those of us that don't have an ounce of sewing/quilting/etc creativity! So, thank you for your AMAZING WORK and if you don't mind, I'd love to ::peek:: in once in a while! More fabric? Yes I would love some more fabric. I truly enjoy reading your blog and I am so glad I did today. of course I would love some fabric, like I need more spilling out of my sewing room? Being that I'm incredibly unorganized (the opposite of V) I'll add for clutter to the CHAOS. 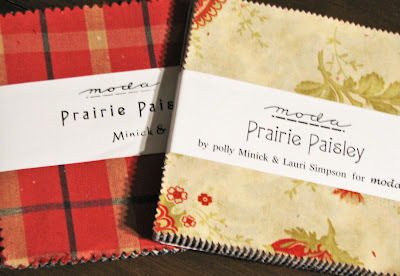 I really love your blog and I'm always ready for some new fabric. no sally, you have to get your friends to comment and tell me to put you name again...and then they will be in the drawing too but your name will be in it again! does that make sense? 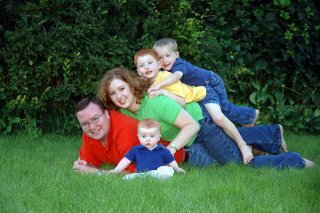 My sister in law Becky has your name in her cute blogs list. And my friend Lori stalks your blog all the time. Does that count as two more? I think you should pick Brandy- she always has such cute ideas, I'd love to see what she does with it! jenn tell your sis in law and your friend to comment and then they will be in the draw and your name will be in there 3 times (make sure they mention your name!) this is fun! there are so many more of you out there that read my blog that i HAD NO idea about! nice to meet you all! Hi, I am another gal that you don't know, but I love your blog and I am always so inspired by your creativity. I would love your scraps! IF you're willing to ship internationally, may I join? Such scrummy yummy fabric! :) Thank you! V- I was kidding about the comment thing, I guess joking doesn't come through my typing! :) Heidi-I never win anything but if I do I will share! 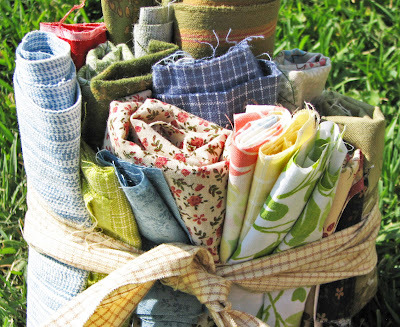 I love fabric scraps-I'm sure I could find lots of projects to use them!! Thanks! Sign me up! 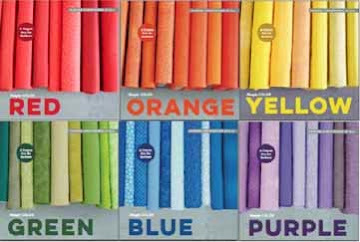 I am dying to get my hands on some fabric! I am a crafter living in a country with no craft stores- it can be frustrating at times!